Price is 5% below the initial Playmobil retail price, a € 0.60 discount! 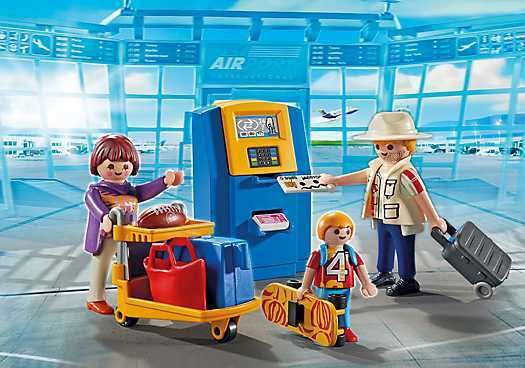 The Family at Check-In (5399) Playmobil set is available from the sites below. However, they do not offer delivery to your selected region. The Family at Check-In (5399) Playmobil set is no longer directly available from the sites below. However, 3rd party partners of these sites might still have the set available. ATM can be opened with a key, so that tickets can be restocked. When the check-in card is inserted, tickets are issued. There is space for all family members' luggage on the baggage car.